So you wan’t a faster internet connection speed out of your smartbro stick? Well, same here. 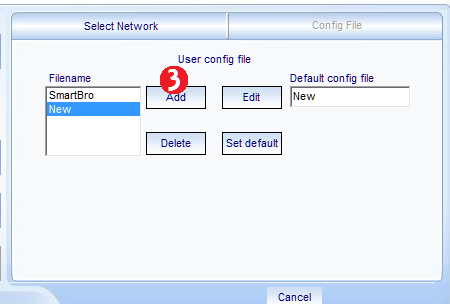 Open up your smartbro software and click the Settings menu, the one with the wrench. 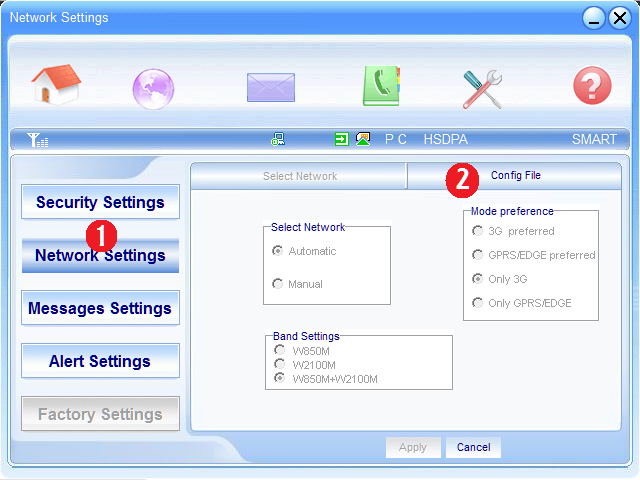 Now click Network Settings then Config File. That’s easier to follow with a picture, right? Then here is a picture with the steps numbered as 1 and 2 respectively. After those steps, you will see the configuration files available. Mine has two because I already made one other than the default Smartbro config file. For you, let’s create a new config file. Click on Add. After doing that, a window will pop up and present you with a form. Copy the details in the image below and click OK. Finally, connect to the internet and feel the difference in the speed of your smartbro internet connection. What you just did was changing the DNS settings of your smartbro stick modem. DNS is the system that recognizes the address you entered in the address bar of Google Chrome of Mozilla Firefox and locate the website’s address in the internet. SMART is doing this with the smartbro config file set to the default. 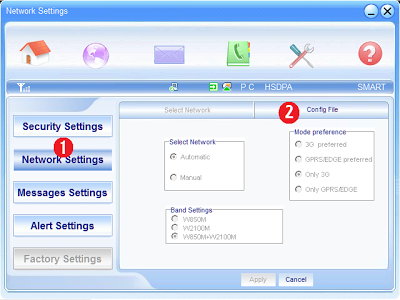 The new DNS settings that we entered is the Free DNS Service of Google. Are you going to pay more for this? Of course not! The best of this is that you can share this trick with others. I do not only mean share this article on your facebook timeline but you can share your smartbro internet connection wirelessly with other computers. You can read below that Ryan Quitin brought up the use of OpenDNS to speed up your SmartBro internet connection. I tried it and it worked. Here is a comparison between the default SmartBro settings and the one using OpenDNS. As you can observe, my Receive Rate jumped from 11 Kbps to 206 Kbps! Try it too for your self. Create a new config file and change the DNS settings to 208.67.222.222 for both the Primary and Alternate. If you have more tricks to make SmartBro faster, share it in the comments below and I might also update this tutorial with what you teach us.